So, What Was This White Dude Doing Writing ‘Black Lives Matter!’ All Over Charleston, W.Va.? Is he an ally-hero like Heather Heyer, putting it down for the cause? Or is he an agent provocateur trying to pin some kind of crime on the Black Lives Matter movement? Either way, it’s all right with me. But let’s investigate. 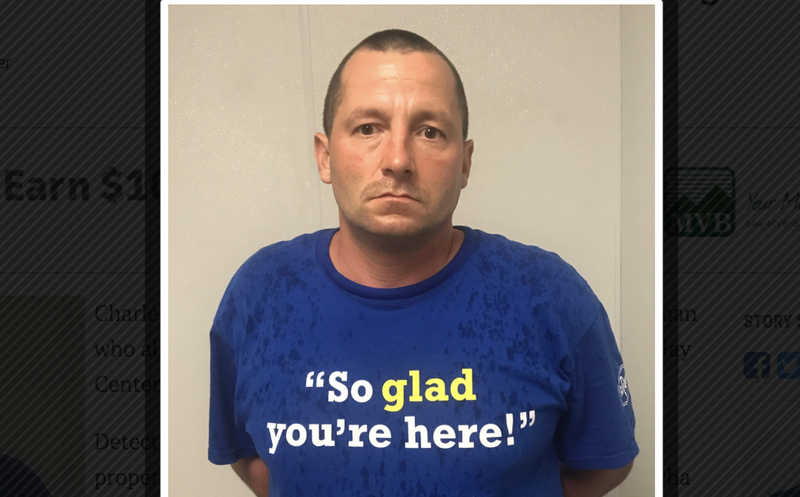 The facts are that Charleston, W.Va., police arrested Ray Hensley Jr. last week for allegedly spray-painting “Black Lives Matter” on several sites around the city, including the Clay Center. The 36-year-old is facing misdemeanor charges of destruction of property, two counts of shoplifting and trespassing, according to the Charleston Gazette-Mail. Police allege that the same person who wrote on the Clay Center had also written “Black Lives Matter” at a pizza restaurant in the city. There was also, according to a detective writing in the criminal complaint, a billboard with the same words written a few weeks earlier, all with the same writing style. Authorities say that someone dropped a dime on Hensley, and in addition to the tip, police reviewed surveillance video that clearly showed a white man with the same or similar footwear as Hensley’s when they arrested him. Besides that, Hensley allegedly admitted to the deeds on the way to the police station after his arrest. According to a tip sent to The Root, Hensley may be a proud Confederate, but I can’t see him going through all of this if he didn’t believe in the Movement for Black Lives. Read more at the Charleston Gazette-Mail.